Genome Sequencing is associated with determining the order of DNA nucleotides. It is related to “decoding” of information. The genome sequence is a long range of letters in a puzzling language. It is the sequencing of the whole organism in which the pairing of nucleotides takes place, such as the pair of A and T, and the pair of G and C. Sequencing the genome doesn’t quickly disclose the secrets of an entire inhabitant. Scientists still have to translate the whole work to understand how the genome works: how the different parts of genomes coordinate, what the different genes that make up the genome do, and how are they related to each other. Sequencing the genome is the major step to understand it. The available method of DNA at the moment is quite limited like they can only handle little work regarding the DNA. The genome sequencing will help the scientists find the genes more easily and quickly by presenting a valuable shortcut. Genes have twenty-five percent of the DNA in the genome, so studying the whole genome sequence would help the scientists understand how the genes work together for the sake of developing the whole organism. Some of the current applications and startups of Genome Sequencing prominently include Deep Genomics, the Toronto-based startup uses machine learning to assist the scientists in translating and understanding the genetic differences. GRAIL is another startup that is leveraging the power of Illumina next-generation sequencing technology to enable the early detection of cancer in asymptomatic individuals through a blood screen. Oxford Nanopore Technologies has developed the world’s first and only nanopore DNA sequencer, the MinION. The MinION is a portable, real-time, long-read, low-cost device that has been designed to bring easy biological analyses to anyone including researchers and healthcare providers. As said by the scientists, DeepVariant is deep learning technology with “significantly greater accuracy than previous classical methods.” It’s better at identifying gene mutations than any other application out there. Deep Variant won the Highest SNP Performance award in the FDA Administered 2016 PrecisionFDA Truth Challenge when it assessed a lot of local-submitted set of variant calls at the time of blinded evaluation sample, HG002. DeepVariant is practically quite good at recognizing mistakes during programming. DeepVariant uses a unique method into solving certain malfunctions. It turns the data into an image. Google’s AI was originally built for image recognition, so this solution came out pretty well. DeepVariant works wonders without even having any kind of knowledge regarding the DNA-sequencing machines. As DeepVariant is trained with data, it learns which connections between ‘neurons’ to strengthen and which to omit. Neural networks are often compared as ‘neurons’ that work in steadily more complicated techniques-the first layer might respond to light, the second to shapes and the third real objects. Eventually, DeepVariant can sort the actual mutations from the mistakes. It converts the problem to a great extent, from thinking hard about it to looking for the data. It automatically recognizes single-base-pair mutations, deletion mutations, and small insertion in the sequencing data. Technologies like DeepVariant could use their complex data testing abilities to predict the effects of a mutation, predicting which genes might operate. In a December 4 Google Research Blog, team members stated DeepVariant’s release as an open source, which was intended to accelerate the use of this technology to solve real-world problems. What does it mean for digital health sector? Well, DeepVariant, which is now available in Google Cloud has become one of the greatest missions of Google that is merely intended to increase the knowledge of healthcare community regarding genomics tools and the science behind genomics. 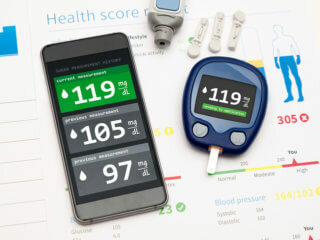 According to Healthcare IT News, it has improved 50% more since it has earned the highest rating of being the most accurate tool, at the FDA’s Truth Challenge in 2016. Google has recently partnered with two US groups, that is, the National Center for PTSD as well as the National Alliance on Mental Illness (NAMI). The main objective of this partnership is to launch a new feature so that people can easily determine if they suffer from a post-traumatic stress disorder. Smartphone users who will look up on Google for that disorder would be provided with different resources as well as a clinically proven questionnaire for testing their chances of suffering from PTSD. Some of the applications of this deep learning tool are phone menu systems in which a person has to make queries by saying particular words. There is a deep learning tool that creates fake news in which with the help of deep learning, fake and deceptive news and pictures can be created. In this tool, even a person’s order of sentences, mannerisms etc. can be changed as well. Therefore, genome sequencing has become a useful tool for DNA sequencing, analyzing uncommon disorders, and detecting curing targets in neoplasms. It is also used to identify the genetic mutations leading to diseases and for experimental purposes as well. In a nutshell, Google’s DeepVariant project’s mission is to make their users’ life easier. 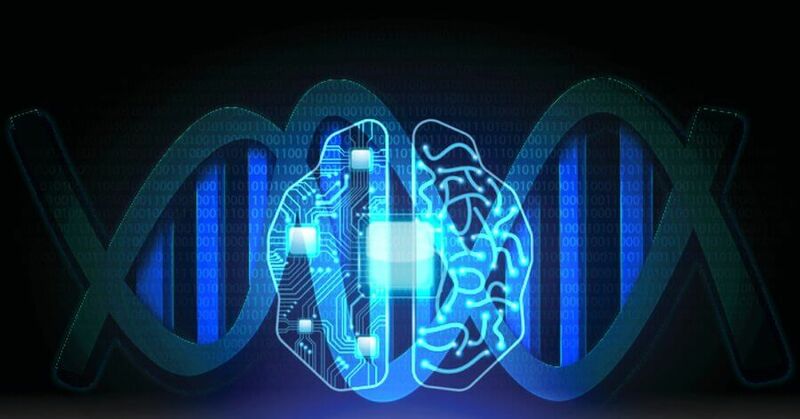 As the technology is advancing day-by-day, genome sequencing, done by machines, is making a great impact on the Health Industry through Deep Learning, which is a branch of Machine Intelligence. In short, it is going to completely change the face of the healthcare industry in the upcoming years. Your startup & the future for Digital Health US in 2018​Ransomware attacks on clinics | What are the risks and how to prevent them?